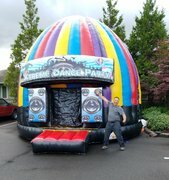 When it comes to combo bounce house rentals in the Tacoma area, Inflatable Event Professionals offers several great options. 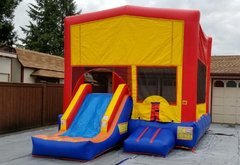 The best part about a combo is that it is a bounce house and slide combination in one unit. 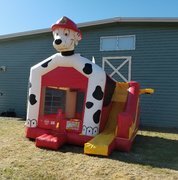 They are great for backyard birthday parties and can even be used at large corporate events. 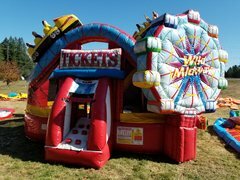 One of the great things about our combo bouncer rentals is that in the cool months they can be used dry. 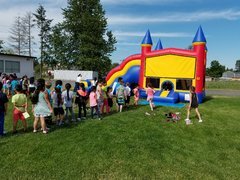 In the hot summer months some units can be used with water by simply requesting the Waterslide option when you book your event. 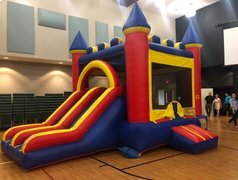 Get the best of both worlds with our inflatable combo rentals. With so many options to choose from, you're guaranteed to find the perfect fit for your next party or event. Having a sports themed party? 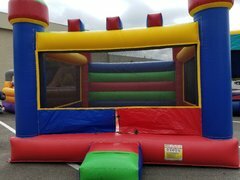 Check out our Sports Bounce House Slide Combo. Whether it's football, baseball, basketball or soccer, your sports fans will have hours of fun bouncing and sliding. It's time for your all-stars to get their game on. Take a look at our Xtreme Dance Party. This unit is HUGE and will be the highlight of any event. Standing 18' tall, this great inflatable will turn any back yard or event into the hottest dance club in town. With the LED disco lights and the thumping bass of the Bluetooth speaker, your guests will dance like nobody's watching. Our Pink Castle Wave Combo is the perfect choice for princess parties. 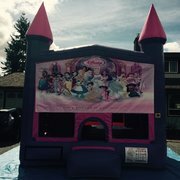 Your princess will be delighted to see this beautiful bouncy castle. With the large jump area, climb, slide and even a basketball hoop inside, the fun won't stop. Also, be sure and head on over to our interactive games page to see some of our newest additions; Wrecking Ball, Soccer Darts and our 3 games in 1 Galaxy Games will all be huge hits at your next event. With so many great options to choose from, we are confident that IEP will make your next event one that people will be talking about for years to come. 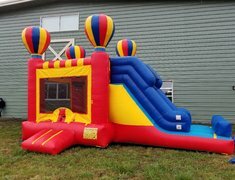 Our exhilarating bounce houses & slides will turn your party into the best party in the neighborhood! 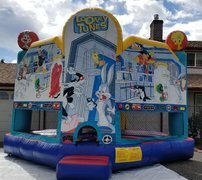 Combo bouncer rentals give you the best value for your rental purchase along with the maximum fun packed into one inflatable. Browse the selections below and click on the title or image for more information and to make a reservation.